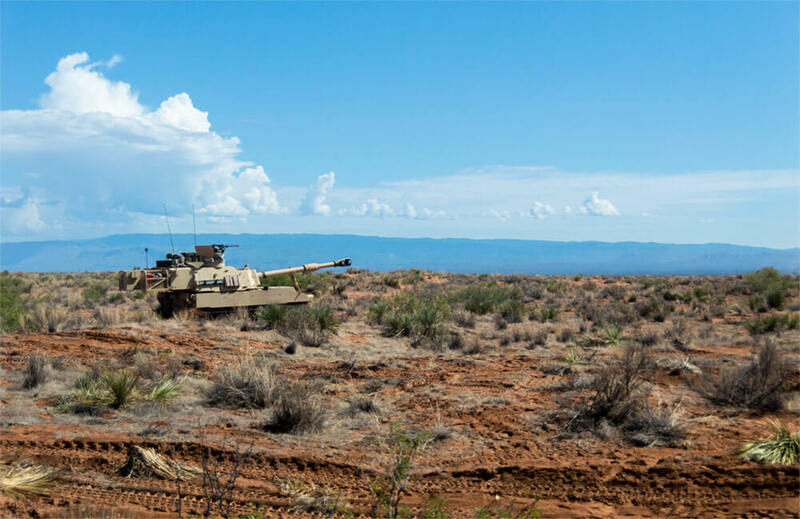 The mountainous desert terrain of Fort Bliss, Texas, set the scene of Operation Hickory Sting – a brigade-level exercise consisting of more than 4,000 National Guard Soldiers. 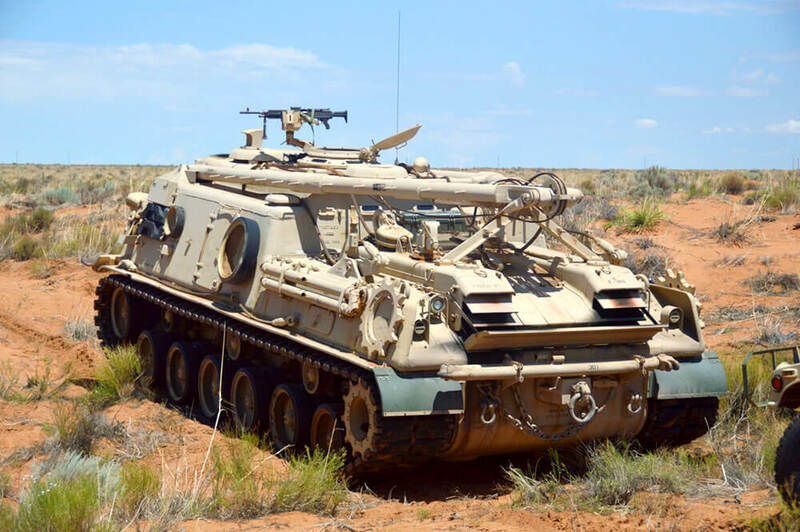 The operation was an Exportable Combat Training Capability (XCTC) exercise for the 30th Armored Brigade Combat Team (ABCT), which is made up of units from the North Carolina, South Carolina and West Virginia Army National Guards. Soldiers from the Minnesota Army National Guard and North Carolina’s State partner country, Moldova, also participated in the XCTC as support to the 30th. 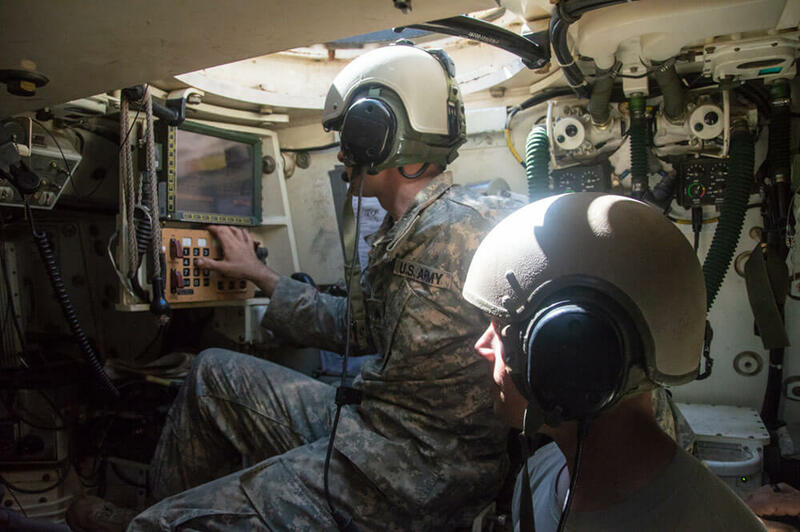 The Army National Guard’s XCTC program, coordinated and managed in conjunction with First Army and the National Guard Bureau, provides a combat-training-center-like experience, but at a home station or regional training center. The program is designed to certify platoon proficiency and brings full training resource packages to National Guard and active duty bases around the country. XCTC exercises challenge and prepare Soldiers across all military occupational specialties (MOSs) to be more lethal, effective and tactically proficient. The 30th ABCT’s XCTC exercise gave Soldiers an opportunity to conduct combined arms maneuvers focused on company-level armor and infantry situational training exercises. 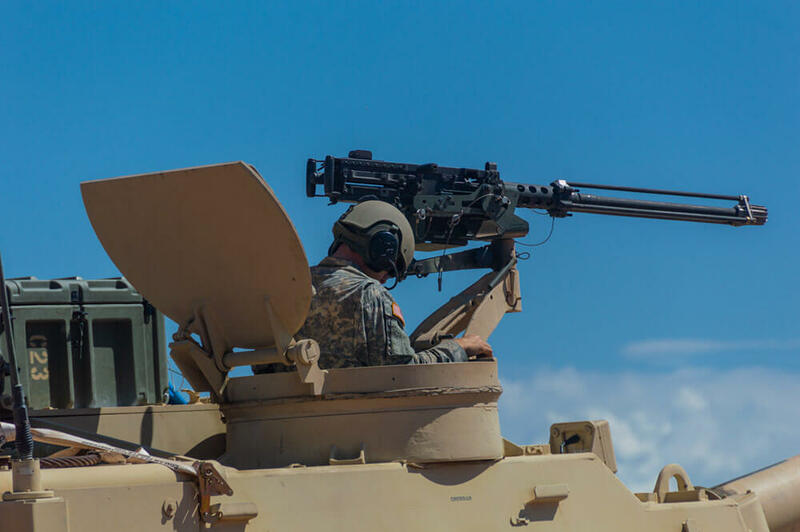 Soldiers from West Virginia’s 1st Squadron, 150th Cavalry Regiment – a sub-unit of the 30th – conducted Table XII platoon gunnery, a combined arms live-fire exercise and participated in platoon and troop-level, reconnaissance-focused situational training exercises. 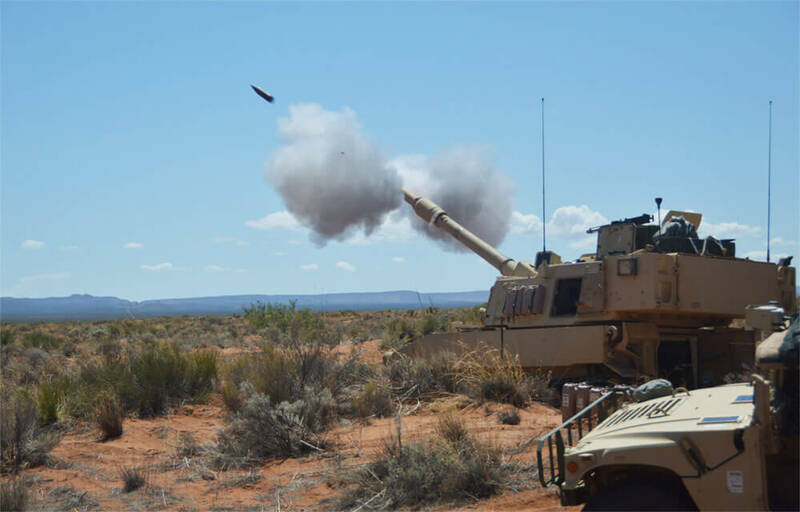 Taking place in August of 2018, Operation Hickory Sting served to prepare the entire 30th ABCT for a successful completion of an upcoming 2019 training rotation at the National Training Center (NTC) at Fort Irwin, California. Following their NTC rotation, the 30th ABCT will be validated for a potential deployment overseas. “We have a lot of MOSs present,” said CPT Ronald Colvin, commander of Charlie Battery, 1st Battalion, 113th Field Artillery, when speaking about the Hickory Sting exercise. “Field artillery, logistics and supply elements, maintenance, fire control specialists, medics, the list goes on. In addition to enhancing the skills of the individual Soldiers, Operation Hickory Sting offered a rare opportunity for the unit to train as a complete brigade. This brought unique advantages to the training field. During the XCTC, Soldiers were evaluated by Observer Coach (OC) trainers, who evaluated the 30th’s tactics, techniques and procedures (TTPs) to examine how well the unit performed during the multiple training lanes and live-fire exercises, and ultimately determine if the Soldiers were meeting the commander’s training objectives. As the largest maneuver training site in the U.S. Army, Fort Bliss was the perfect setting for the 30th ABCT’s XCTC. With more than 965,000 acres, 54 training areas, 29 villages and towns, 58 live-fire ranges, 1,700 miles of tank trials and 343 million cubic acres of airspace, Fort Bliss is one of the few locations with more than adequate land and infrastructure to meet the robust standards necessary to fulfill the training requirements of the 30th ABCT. SFC Collins went on to explain how the setting pushed the units by presenting challenges necessary to test and develop the Soldiers’ skills. The combination of the advanced-level XCTC regimen and the advanced Fort Bliss maneuver field environment allowed participating Soldiers to take advantage of heightened training that, for many, was unique to any past experience. While the vast Fort Bliss training area was beneficial for Soldiers on many levels, it was not without its challenges. Fort Bliss is also characterized by its intense temperature and a hazardous location. Soldiers were encouraged to take precautions in order to perform effectively and efficiently in the extreme conditions. PFC Enrique Cabellero, a medic with the Headquarters and Headquarters Battery, 113th Field Artillery, noted how his role was to ensure the medical conditions were safe for the Soldiers. As preparation for potential medical issues that may have arisen, PFC Cabellero and other participating medics were also tasked with researching the climate and wildlife of the area prior to the training. PFC Cabellero said the entire experience left him feeling more prepared for major missions in the future. 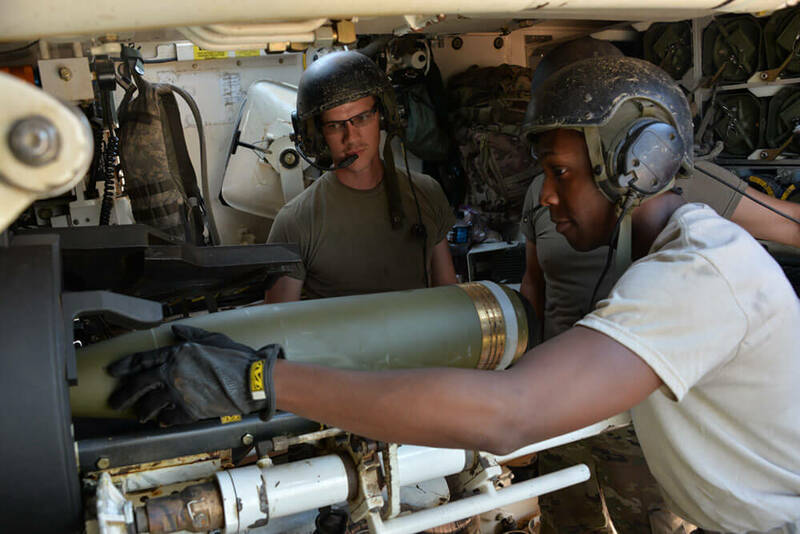 SGT Scott Edwards of Alpha Battery, 1-113th Field Artillery, acted as a motor sergeant with the Maintenance Support Team during the training. Because it was his first time acting as a motor sergeant, SGT Edwards said he walked away with a greater understanding of the importance of the role. As with the maintenance support team, the nature of the XCTC forced every Soldier of the 30th ABCT and the supporting units to think fast on their feet. A breakdown or hindrance of any nature was no excuse to leave the job undone. “You just had to make it happen. We were outside of the traditional supply chain, so out there we had to make it happen no matter what came up,” noted SGT Edwards. The XCTC exercise proved to be an excellent opportunity for the Soldiers of the 30th ABCT to enhance their skills and become more developed Soldiers. Each Soldier was able to walk away from the exercise with a unique set of lessons learned and perhaps a few new goals. Also participating in the XCTC exercise was SGT Jeff Gilbert, a gunner of the 1-113th Field Artillery, who said he learned tips to improve his technical skills and to help prepare for a future leadership role. Overall, Operation Hickory Sting was a success for all Soldiers involved. By the end of the exercise, platoons were certified through gunnery and maneuver tables and Soldiers walked away having gained necessary training that challenged them both as a brigade and as individuals.